Dimensions 31.5 inches H. x 6.25 inches W.
Additional Information: The Yaka diviner has a position of power within the community. The slit gong is used by the diviner during rites of initiation. Slit gongs such as this are then used by diviners when the are possessed spirits and is performing divination rituals. (See a photograph of a Yaka diviner during a ritual in The Metropolitan Museum of Art's "ART AND ORACLE," by LaGamma.) Each diviner has his own slit gong, which incorporates the spirit of the master diviner who was his mentor. "It is the clairvoyance of this ancestor that will direct the novice in his or her own practice, and the slit will serve as the mouth of the oracle's voice when the slit drum is struck." ("La Gamma," op cit). Yaka people number approximately 300,000 and live along the Kwango River in the SW Democratic Republic of the Congo. They have a highly developed artistic sense---and they instill beauty and drama in even mundane objects. They are best known for the upturned noses found on initiation masks and diviner's fetishes, but their art can be abstract and vague as well. They sometimes create statues of considerable proportions. 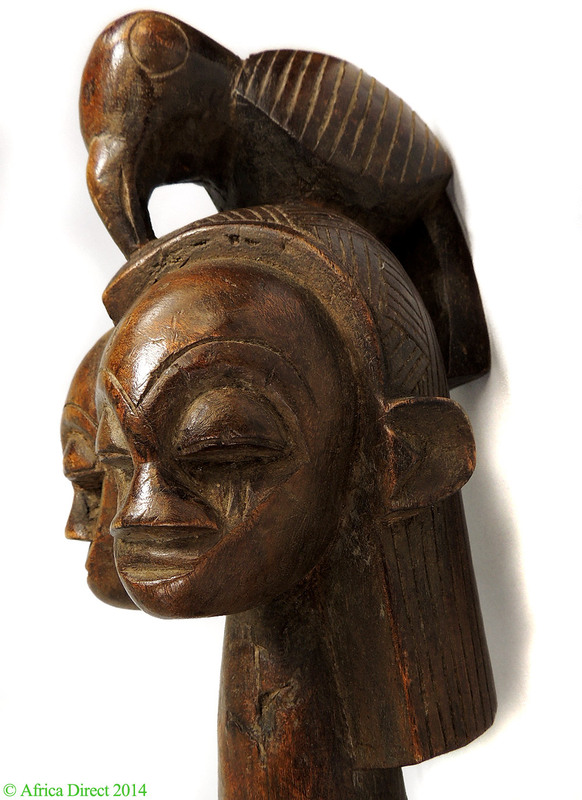 Though these normally are used by diviners and healers and are used in various ways and for multiple purposes.There are many wonderful Yaka artworks pictured in scholarly texts and their masks and figures grace the finest museums and private collections.